Many smokers are currently looking for a high quality cigarette at a comfortable price. There are many brands available which are cheap, however, not all of them are of good quality. Fortunately, an excellent brand that has been around for a very long time is now surging in popularity once again. We are talking about Rothmans cigarettes, of course. These cigarettes are well-known for their distinctive flavor and special aroma. 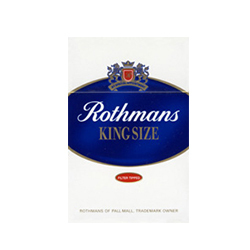 Perhaps one of the best advantages Rothmans cigarettes have is their price. These cigarettes generally aren't expensive, but now you can buy them for a downright cheap price at Duty Free Depot. 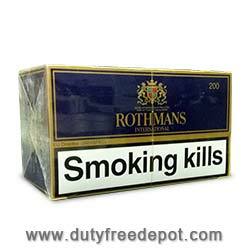 Duty Free Depot is an online shop for tobacco products such as cigarettes and cigars. In addition, the shop offers other tobacco-related products like spirits, lighters, e-cigarettes and various other accessories. Duty Free Depot offers many types and flavors of cigars and cigarettes, all at extremely low prices, perhaps the cheapest prices you'll find online. The more boxes, cartons, and packets you purchase of item, the less you will pay for each individual item. In addition, Duty Free Depot often features special deals and coupons on the website, so prices may go even lower. Don't forget to check the website once in a while! Whether you live in the USA or abroad, you can order as many items as you wish, since Duty Free Depot offers worldwide shipping. Your order will reach you quickly and in good condition. If any problem or question should occur, you can always call Duty Free Depot's customer service. 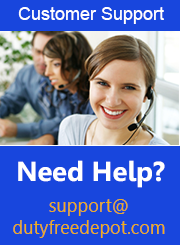 Employees are highly professional and reliable at Duty Free Depot.